Creatinine is a waste formed in the human body when energy is produced in the muscles. Creatine phosphate is a part of the skeletal muscles which break down to provide energy for the cells in the body, thereby forming creatinine. Under standard circumstances, your kidneys are expected to carry out the filtering and passing out of this substance from the body. However, some health conditions can make this function ineffective, which leads to a buildup of creatinine. However, creatinine levels can be reduced in several ways, including changing your diet, taking medications, making certain lifestyle changes, and partaking in medical therapy. Take healthy diet. Add lots of fresh fruits, whole wheat, vegetables, oats, barleys, etc., into your everyday diet. The quantity of protein the body requires can be gotten from cabbage, lettuce, carrots, sprouts, cauliflower, cucumber, radish, turnips and cranberries. Alcohol, caffeine and carbonated drinks are all bad for this condition, and have diuretic effects, which leads to dehydration. Limit sodium intake. Studies have shown that excessive sodium intake can lead to increased fluid retention and high blood pressure, which worsens the disease condition of the patient. This makes a low-sodium diet a must. Generally, most low-sodium diets come with an average range of 2-3g per day. However, some cases require more restrictions on sodium intakes. Control protein intake. Instead of taking much protein, kidney disease patients are advised to take high-quality protein as a way of reducing the on the kidneys. If you wish to reduce your level of creatinine, it is better to stay away from foods that are very rich in protein such as dairy products and fatty meats. However, the amount of protein should be dependent on the individual condition of the patient. Avoid strenuous activities. Engaging in strenuous exercises promote the conversion of creatine to creatinine faster than normal. Therefore, it is important for one to avoid training too much or engaging in such strenuous exercises, and go for less strenuous ones. Engaging in healthy exercising is far better than engaging in long strenuous exercises. This is one fact that holds for everyone one of us. Drink plenty of water. When your body gets dehydrated, there seems to be an increase in the level of creatinine. Consuming about 2-10 glasses of water daily can help you reduce the chances of further increase. This increases the frequency of urination naturally, and more creatinine will subsequently be removed from the body. Sleep well. Most of your body functions reduce when you sleep. This includes your body metabolism. Due to this, converting creatine to creatinine follows a much slower process, which enables the body to filter out more of the creatinine in the blood to prevent the buildup of additional toxins. Avoid creatine supplements. Meat and fish contain small amounts of creatinine. Body builders and athletes may have to consume some creatinine supplements to get the amount their body requires. However, this may be a little bit dangerous because apart from the increase in the size of the kidney, the heart may also develop some problems and the muscle some cramps. So avoiding creatinine supplements is very important when it comes to reducing creatinine levels. Take medications targeted at reducing the creatinine levels. Ketosteril is one of such medicines that are known to help reduce the creatinine levels in the blood. But make sure you consult a physician to know if the drug is OK for you. The normal dose is 4-8 tablets taken about 4 times daily. Other drugs that reduce creatinine include Alpha lipoic acid supplements and Chitosan. Dandelion root is known to work as a natural diuretic which helps flush toxins out of the human body. When it comes to how to lower creatinine levels with natural products, dandelion roots are very important. They are also effective in the reduction of inflammation that result from water retention and edema and also improves kidney function. All you need to do is to add about 1 Tbsp of dandelion root powder in one cup of water and allow it to stand for about 10 minutes before you strain. You will be required to take this tea 2-3 times per day for a couple of weeks for the right results. Including the compounds of eleutheroside, Siberian ginseng is used popularly as a supplement for its energy-boosting effects. 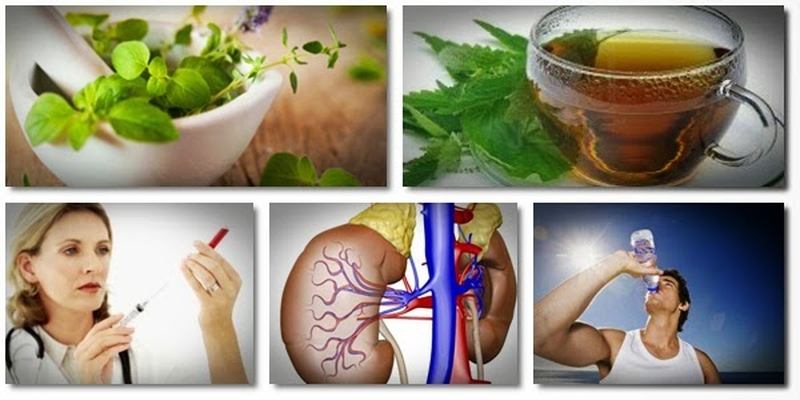 It also helps get rid of excess creatinine by revitalizing the kidney and enhancing the circulation of air. It also comes with some anti-stress and anti-fatigue advantages that can be easily reaped. The recommended dose of this herb is 30-600mg daily. If possible, talk to your doctor before taking it. You can also combine Siberian ginseng with cinnamon. Still on the home tips on how to lower creatinine levels in the bloodstream, the Chinese rhubarb is one good option. This promotes intestinal detoxification and makes passing urine easy. It also help reduce creatinine levels by promoting the excretion of all waste products from metabolism that contains creatinine. It also promotes kidney functions. You can cut a stalk of Chinese rhubarb into bits and boil them in one cup of water. You then have to strain it and drink the juice twice a day for one week. But make sure you don't have any kidney disease while you take this herb.